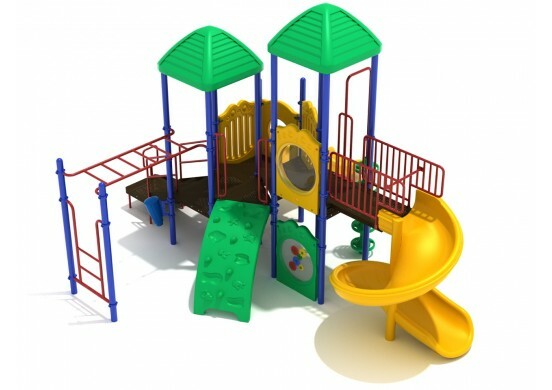 Coopers Neck Play System is a great 5 to 12 year old structure that offers fun playground equipment. It is important that your playground structure purchase is safe, durable, and age appropriate. Your children’s future is an investment, and this equipment will outlast almost any equipment on the marketplace. 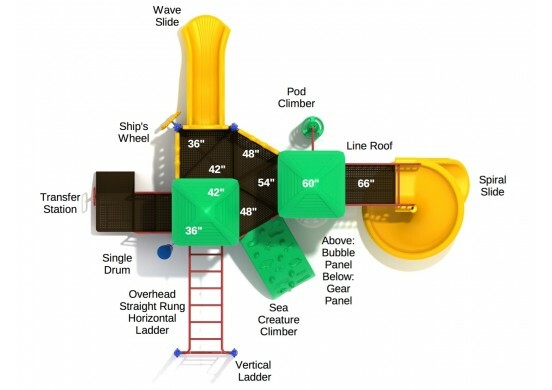 Includes a spiral slide, 2 roofs, wave slide, pod climber, bongo drum, and so much more. 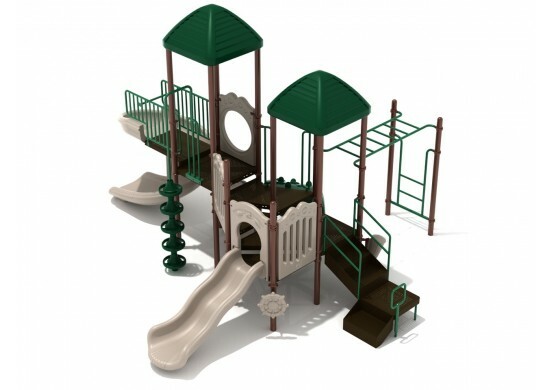 Play Set Dimensions – 18' 9" x 20' 1"
Safety Zone – 30' 9" x 32' 1"
Critical Fall Height – 68"